Hi friends! I hope you are enjoying this long weekend! We are lazing around, not doing much of anything, which is perfectly fine by me! 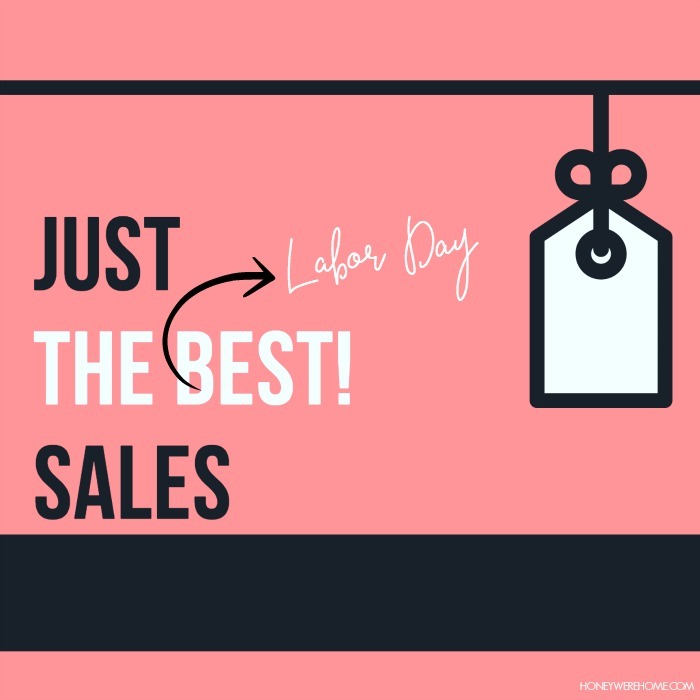 I did get a chance to peruse the Labor Day sales and found some things you don’t want to miss! Nordstrom continues to kill it with sale prices below the Anniversary Sale! Zella midi leggings are the ‘just right’ length in-between crop and long; this long lightweight cardigan is perfect for now and later and also comes in petite! Get 40% off this triple strand necklace that won’t tangle! The softest twist front pullover is comfy perfection for work and weekends! Normally $49, but only $32 today! You’ll get 40% off EVERYTHING at LOFT and an EXTRA 50% off sale styles. I bought this ruffle trim top and I like this chambray shirt dress for work to weekend. J.Crew has 40% off EVERYTHING too, including new arrivals like this sweet sweater and versatile shirt dress. Save $90 on the forever classic Tory Burch ballet flat (available in black or pink & navy). The most darling UGG boots are normally $190, but you can snag them for $119! The little girl version is pretty cute too! If you’re ready to get your Fall decor on, these rope lanterns or iron lanterns made great accents- both 30% off. Fill them with flameless candles, string lights, or mini pumpkins for easy Fall updates! I came across these stunning (monogramed) marble cheese boards and for under $25, they’ll make a great Christmas gift! You can also join our private Honey We’re Healthy Facebook group – we have 1,300 members, representing 16 countries and 44 states! Isn’t that amazing?!?! Have a safe and fun day today! Next Post HWH Fitness Challenge Week #1 + Free Fitness Tracker! Thanks for posting, I feel like your blog is going to be my shopping assistant LOL. I need that marble Cheeseboard.